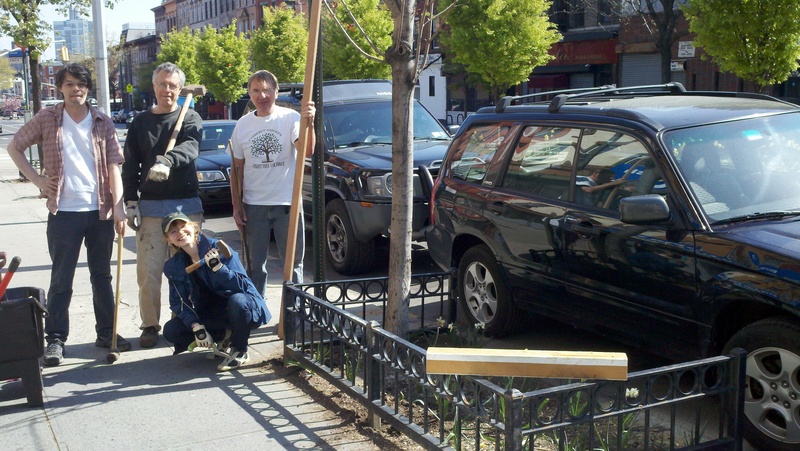 When the Prospect Heights Street Tree Task Force heard that Forest City Ratner Companies would cut twenty trees from the northern sidewalk of Pacific Street between Sixth Avenue and Carlton Avenue to make room for construction in the Vanderbilt rail yard, its members joined a chorus of other community members and elected officials in protest. The Prospect Heights Neighborhood Development Council is pleased to announce that Ellen Fishman has been elected as Chair of the organization. She succeeds Danae Oratowski, who served as PHNDC Chair since 2007. 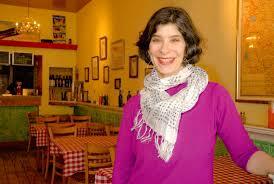 Ms. Fishman, a native New Yorker, is a graduate of the University of Michigan and Brooklyn Law School. She has been a resident of Prospect Heights with her family for 13 years. During that time she transitioned from working as an attorney in private practice to operating with her husband Albano Ballerini the authentic pizza and pasta restaurant Amorina Cucina Rustica, on Vanderbilt Avenue in Prospect Heights. Ms. Fishman is also the President of the Vanderbilt Avenue Merchants District and continues to represent it on the PHNDC board. As both as both a resident and merchant she brings a unique perspective to our organization. Heart of Brooklyn (HOB), A Cultural Partnership is launching a survey focused on retail attraction for the Washington Avenue district between Atlantic Avenue and Eastern Parkway. The findings will be shared publicly with property owners, business owners, and community stakeholders. The survey is available now at http://www.surveymonkey.com/s/washingtonavenue. In addition to online surveys, volunteers will be conducting surveys with residents in the area and visitors at locations surrounding Washington Avenue starting Wednesday, April 3rd. Merchants who would like a survey display at a business or a hard copy, please contact Rebeca Ramirez at rramirez@heartofbrooklyn.org. The Crown Heights Community Mediation Center is pleased to announce its third annual Arts to End Violence festival and contest. CHCMC is a neighborhood problem-solving center that aims to strengthen the Crown Heights neighborhood through youth programming, neighbor services, and the community-based anti-gun violence program, Save Our Streets (S.O.S.) Crown Heights. Last year the Arts to End Violence show brought artists together to share their messages of peace and feelings about violence. Some of the participants were established in their field and others were new to the creative process. CHCMC is calling on artists of all ages to submit art for this project in three categories: 2-dimensional art, video and performance. Artists 24 and under are eligible for cash prizes and all are eligible to be displayed in a local gallery.